This is vigorous, tall, spreading hybrid has green foliage. 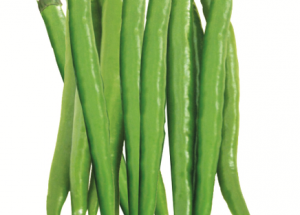 Fruits are attractive, 14-16 cm long, 1.5-1.6 cm wide with dark green colour. 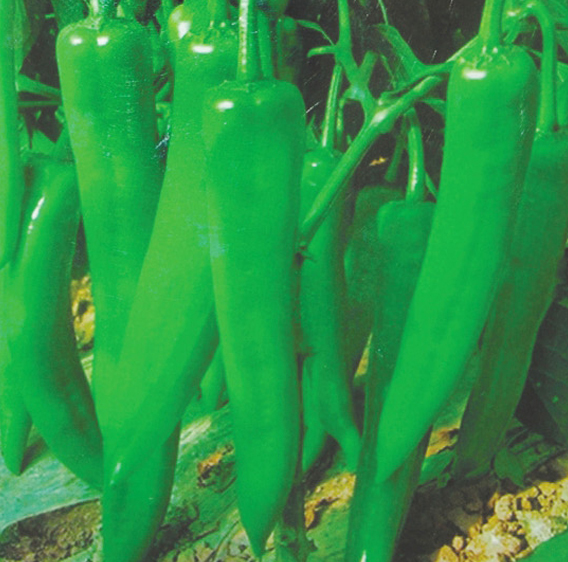 Suitable for long transportation, heat tolerant, good yielding capacity, tolerant to fusarium. This is medium vigorous hybrid has dark green foliage. Fruits are long, green color & slightly wrinkled. Average fruit length 17-18 cm & width 1.8-2.0 cm. Suitable for round the year cultivation. Harshita is an excellent hybrid with glossy fruits. 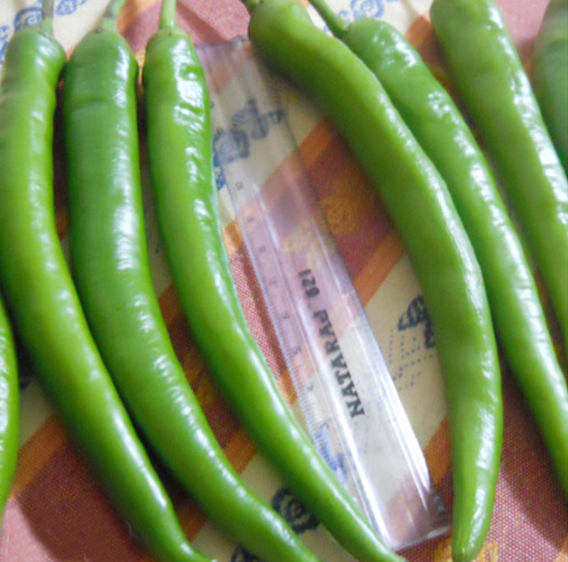 Suitable for pickle & fresh bhajji making markets. Plants are vigorous, early maturity hybrid. 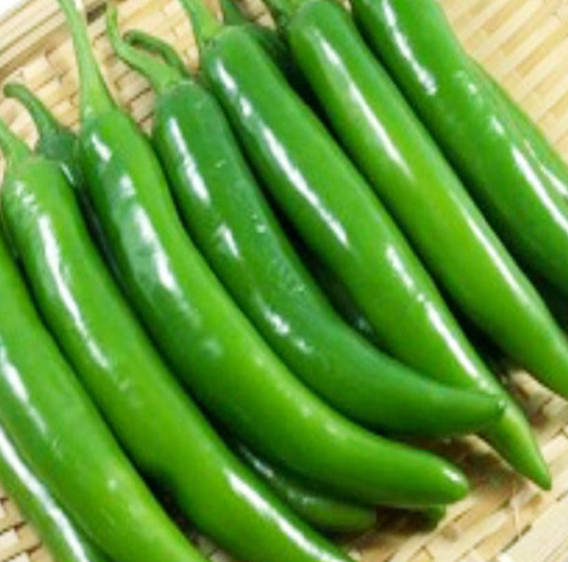 Attractive light green color, medium wrinkled & glossy fruits. Average fruit length 16-17 cm & width 1.3-1.4 cm. Suitable for fresh green jwala segment. 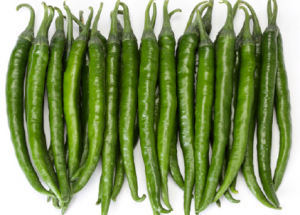 Medium to high pungency & wide adaptability. Plants are vigorous with green to dark green foliage. Attractive green fruit color, slightly wrinkled & glossy fruits. Excellent bearing & wide adaptability. Average fruit length 18-20 cm & width 1.2-1.3 cm. Suits very well in 'jwala' segment. 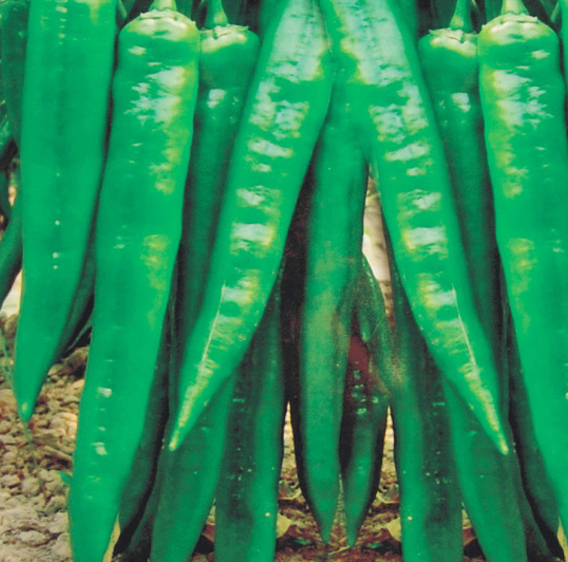 Green Magic is a promising hybrid for fresh green markets. Average fruit length 18-20 cm & width 2.3-2.5 cm. Karishma is an excellent hybrid with glossy fruits. This promising hybrid is tall & vigorous. Fruits are attractive, 13-15 cm long, 1.4-1.6 cm wide with dark green color. 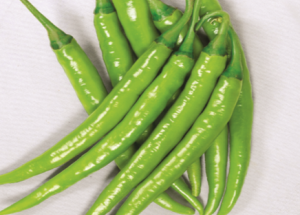 High pungency suitable for dual purpose fresh green & red fruits markets. Wide adaptability, can perform well under high temperature.